Guinea Pigs (also known as “Cavies” or the singular “Cavy”) are rodents originating from South America. They are herbivores and live on a diet of hay, grass, special dried feed, and fresh vegetables. The males are called “boars” and the females are called “sows”. They are born in litters of around 1-6 babies, and the babies are called “pups”. They can live from 4-8 years (sometimes longer). Due to not being native to the UK, guinea pigs are considered “exotic pets” by most enthusiasts and veterinary professionals. Guinea pigs should be kept in pairs or small herds as they are very sociable creatures and thrive on the company of their own kind. Males are best kept in pairs as they are territorial and herds of males rarely work. Females can live happily in pairs or herds, often with the addition of one neutered male. The hair is short all over the body, with some variation in breeds to include features such as a “crest” on the head. The hair is short but rough to the touch and stands up all over the body. The hair is long all over the body, sometimes straight and sometimes wavy, and sometimes with other features such as the “crest” on the head. The most important thing to remember about guinea pigs is they cannot produce their own Vitamin C. This means they need a diet rich in Vitamin C to keep them healthy; proper guinea pig feeds contain Vitamin C in them, as do many types of vegetable, such as carrots, bell peppers, parsnips, broccoli and spring greens. A lack of Vitamin C can cause scurvy (dry irritated skin) and stiffness in the leg joints. A full bowl of dry guinea pig feed and a selection of vegetables should be offered daily. Other vegetables that are enjoyed by guinea pigs include sweet potato (peeled), cos or romaine lettuce, brussel sprouts, celery, parsnip, curly kale, radishes (remove the roots), tomato (remove the leaves) and cucumber. Do not give iceberg lettuce, avocado, mushrooms or rhubarb as these are harmful to your guinea pig. Guinea pigs are herbivores which means they need roughage in the diet to keep their digestive system in good working order. 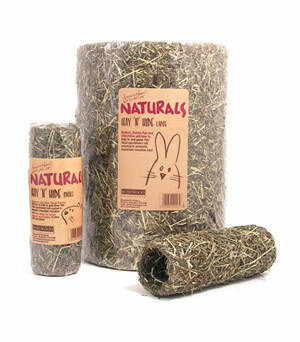 Meadow or Timothy hay offered in plentiful supply every day will satisfy this need, plus regular hay munching will help to keep their teeth trim. 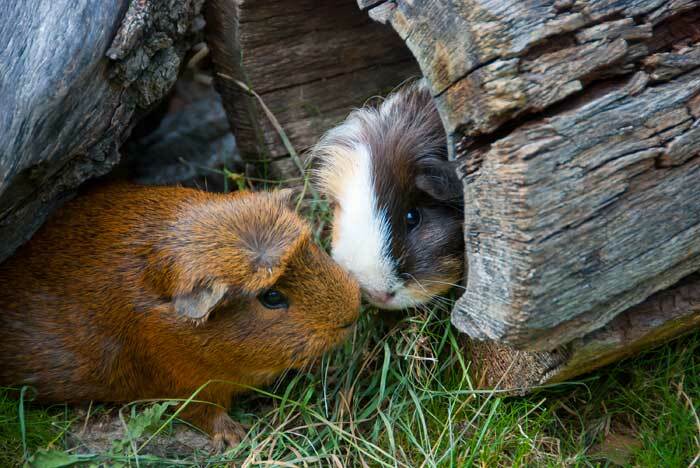 When housing your guinea pigs outdoors, you will need a sturdy hutch with feet on it to allow air to circulate under the hutch and to make it harder for predators to get in. A run permanently attached to the hutch provides a secure spacious environment for guinea pigs to explore. In the winter the hutch should be placed against the wall of your house for protection against the wind and rain, with extra straw added on top of your usual bedding choice for warmth. Switching from wood shavings to Vetbed during the winter makes for a very warm bedding option. You can attach a purpose-made hutch cover to the outside, and a water bottle cover to stop the water bottle from frosting over. Indoor guinea pigs can be housed in cages. Cages must have a solid bottom or tray, and not have a wire floor as this will hurt their feet. They should be allowed to exercise in a pig-safe room or enclosed area while supervised on a daily basis (make sure resident cats or dogs are not allowed to come near to exploring guinea pigs). It is very difficult to litter train a guinea pig as they pass droppings and urinate on the go. If you wish to attempt this, you should frequently pick up damp bedding and droppings and place them in your preferred littering area (e.g. a corner of the hutch or cage or a small animal litter tray) to encourage the guinea pig to use that area. There is no guarantee your guinea pigs will catch on, however! Popcorning: A happy or excited guinea pig will jump vertically into the air or gallop around. Rumblestrutting: The body vibrates and the rear legs step up and down alternately. Male to female this is a mating dance, while both males and females perform this routine as a sign of dominance. This is often accompanied by some chasing and mounting. Licking: Guinea pigs often lick our fingers as a sign of companionship by grooming us. Purring: Just like a happy cat, the body vibrates from top to bottom when the guinea pig is stroked and cuddled. Whistling: A loud high pitched whistle is designed to tell you that your guinea pig wants something (usually food!). Teeth Chattering: An angry guinea pig will rapidly and loudly chatter their teeth as a warning. This is often seen between guinea pigs that don’t get along or guinea pigs demonstrating dominance over a coveted resource (such as the feed bowl). This is seen more commonly in males, however females may also chatter. Guinea pigs love to play and become easily bored if not provided with stimulation and entertainment. You can place toys in the hutch or cage, or even in the outdoor run. We recommend: Clip on Carrot, Bell ‘N’ Ball, Rosewood Naturals – Hay ‘N’ Hide. Before grooming your guinea pig check the skin for scabs or skin tags by gently parting the fur. Giving your guinea pig a tasty vegetable treat while grooming will help to keep them occupied. Guinea pigs with short hair can be groomed once a week with a brush or comb to remove old hairs and debris. 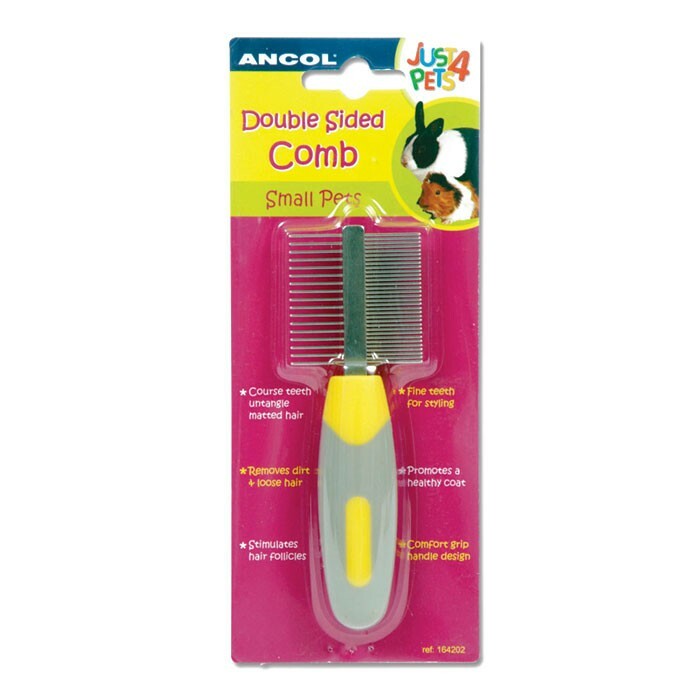 We recommend: Johnsons Small Animal Shampoo, Ancol Small Pet Bristle Brush, Ancol Small Pet Slicker Brush, Ancol Small Pet Double Sided Comb. Long haired guinea pigs need grooming around three times a week with a wide tooth comb to remove tangles and keep the coat free from old bedding, food and other items the guinea pig may have collected. Grooming a long haired guinea pig especially should be done gently and with patience to minimise tugging on the hair with the comb. Nails should be checked and clipped around once every three weeks to prevent them from becoming overgrown and painful. Guinea pigs have four long teeth at the front that might occasionally become broken, and the molars at the back can sometimes become overgrown. This makes it hard to pick up and eat food. If your guinea pig rapidly loses weight and does not appear to be eating you should see a vet immediately and ask about the teeth. These are parasites that live in the fur. You can see lice with the naked eye, however we cannot see mites but they make their presence known by causing scratching, squeaking and bald patches to appear. There are small animal treatments available to deal with this problem. Guinea pigs cannot produce vitamin C so a good supply is essential. Fruit and vegetables offered regularly and a complete guinea pig mix contain ample amounts. Lack of vitamin C can cause: scurfy skin (dry flaky skin) and stiffness in the back leg joints. If this occurs they may need to be checked by a veterinary surgeon. If a guinea pig is wheezing and/or the nostrils are wet, there may be a respiratory infection present and antibiotics are needed from the vet. An introduction to keeping pet Rabbits.